Saturday is an unusual time for a winter league match. But a welcome one, as it meant we played in the glorious, if not blazing, sunshine. Mercury were our opponents, who had very hospitably provided hot beverages to those members of the travelling team who arrived at the designated hour. The captain, as usual, was a few minutes late so missed out on a cuppa. But to the tennis. The sunglasses were deployed, in conjunction with multiple layers and even pants. Tim, however, hard man that he is, has no pants, so shuddered his way through the warmup until his springy legs had stoked his own internal flames. 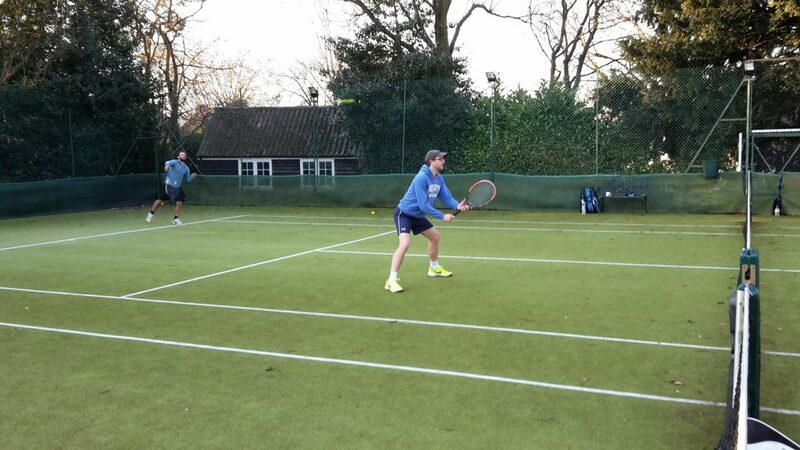 Greg and James got off to a flying start, by winning the first 6 games and the set. The Classic Wobble at the beginning of the second set materialised, and combined with some spirited play from Mercury, the score got to 2-2 in the second set. Then probably 3-3 before the wobble was dispatched for the final 3 games, to record a 6-0 6-3 result. 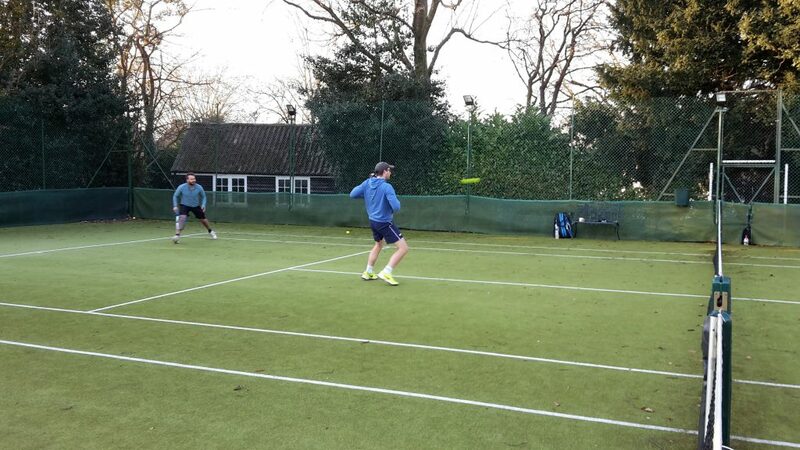 Tim and Sam were exceedingly clinical in their match on the neighbouring court. They romped through both sets dropping only a single game, to win 6-0 6-1. The second rubber for Greg and James was a little more comfortable than the first. No games were dropped for a double bagel serving up 6-0 6-0. Tim and Sam started their match strongly, winning the first 6-3. The second could have been as simple, but there is always room for a Classic Wobble. Trailing by 4 games in the second (I think), they produced an exceedingly dogged fightback to win 6-4. Many thanks to Mercury for your hosting, graciousness and post-match refreshments. It was a charming way to spend a sunny Saturday afternoon.